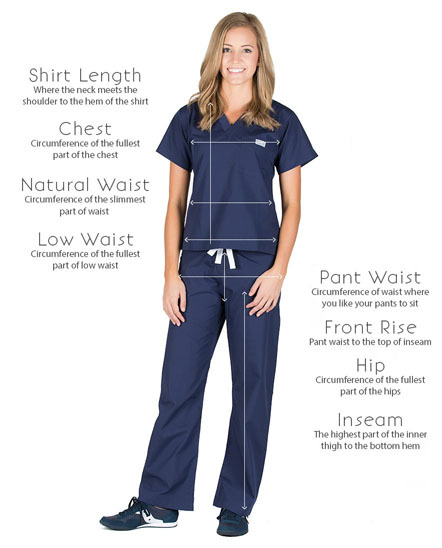 At blue sky scrubs we strive for excellence. From the products we carry to customer support, we insist on only the highest standards for our customers. This is why we have a 100% satisfaction guarantee on all of our products. If for any reason our products did not meet your expectations we are happy to process an exchange or refund within 30 days of your original purchase date. 1 Fill Out the return form that was included with your order, or you can print a return form here. 2 Print a UPS pre­paid return label here. Shipping is free on all returns and exchanges (within the 50 United States). 3 Place the product(s) inside the original packaging, or any packaging that you have available, along with your completed return form. 4 Drop your return package off at any UPS drop off location. For locations near you, please visit www.ups.com/dropoff. Once we have received your item(s), you will receive a status update via email. *For all Returns & Exchanges: Personalized items and/or custom-made items cannot be returned or exchanged. Items must be in like-new condition and unworn to be accepted. Scrubs products being returned must be in like­ new condition without stains, makeup, or soiling of any kind ­ just as you would want to receive your order. 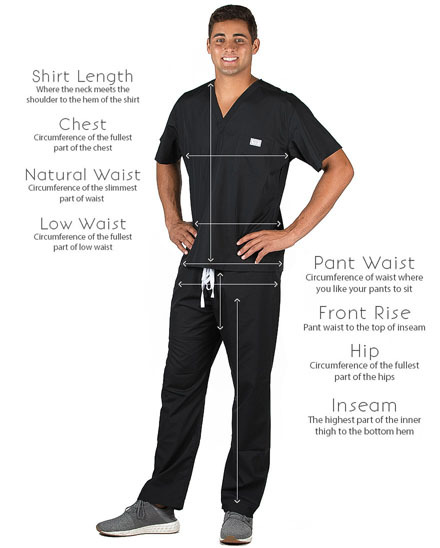 Our scrubs are worn in hygienic environments, and thus must be presented to our customers with 100% cleanliness. We reserve the right to refuse a return if it has clearly been worn, laundered, or excessively soiled. If there is an issue with a product you have received after our 30 day return policy please contact our customer service department by phone or email. 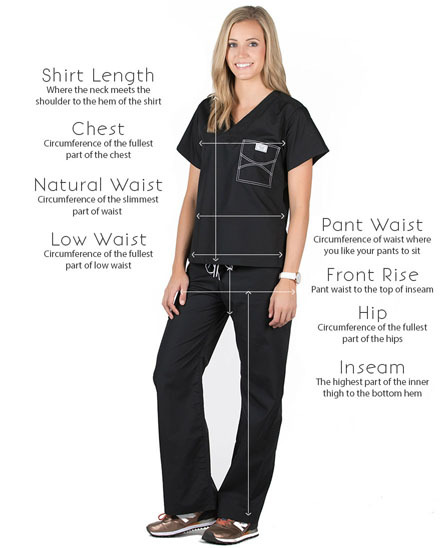 We cannot accept returns on hand­made custom scrubs or embroidered items. 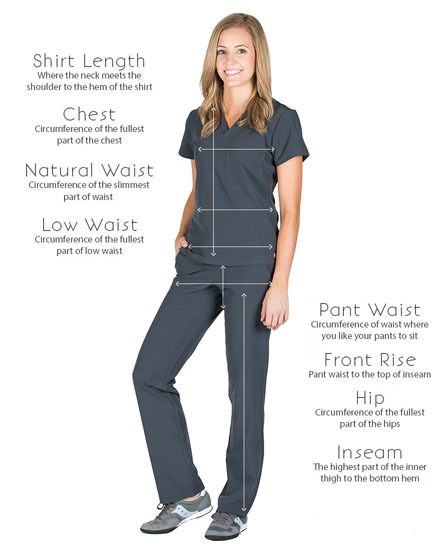 If you are unsure about sizing or style preference, we suggest that you try on our products before customizing. Refunds will only be applied to the original form of payment within 30 days of your original purchase date. Please allow 7-15 business days for your refund to show up on your billing statement. You will be notified by email as soon as your exchange or refund has been processed. Please allow 1-2 weeks for processing on all returns and exchanges, including shipping time. Print a return form located above. If you have the original order number please include this on your return form. However, if you do not have the original order number please include the first and last name (required), billing address and email address (optional) of the person who bought the items for you in the billing address field on the return form. You can have your exchange items shipped wherever is most convenient for you. Please be sure to include your first and last name, shipping address, email address, and phone number in the shipping address field of the return form. If you have the original order number you can print a UPS pre­paid return label. Otherwise, you will have to pay for your own return shipping. We can send you a gift card in the amount of the items being returned. We can process a refund back to the original purchase in the form of payment used when placing the initial order. If you are located outside of the 50 United States you will have to pay for your own return shipping costs. Please note, if you are exchanging products, you will only have to pay the return shipping fee. We will pay the cost of shipping on the exchange items being sent back to you (does not include duties and tax fees). Defective or Incorrect Product In Your Order? It is our number one goal to make sure your order is perfect. However, if for any reason we inadvertently sent you the wrong product, or if you received a defective item, we ask that you contact our customer service department either by phone or email. We have a very special wayof handling these issues, which you will definitely find beneficial.